In Dumbarton homeowners turn to C.S. Fournoy for all their tree and landscaping care needs. We offer a full range of distinctive services that a designed to beautify your yard while helping you create a safe, solid environment to grow all your favorite plantlife. From tree trimming and land clearing to tree removal, stump grinding, bush hog mowing, and fertilization. We have all you need to make your landscape look great all year long. Our entire team of tree technicians and contractors are Virginia licensed and certified and have the knowledge and training necessary to help you with all your yards projects. Contact C.S. Flournoy today! At C.S. Flournoy we are more than just a landscaping company. We have a deep understanding of the science of growing tree and bushes. Our aim is to help you plant the right trees in your yard and then give you the right tools in order to take care of them season after season. We have a vast knowledge of various trees, shrubs, bushess, and other greenery that grows in the East Virginia area. 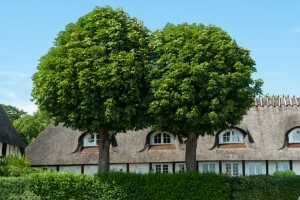 Regardless of what type of landscape you have or where you live we can help you choose the ideal trees that will thrive on your property and help your home to stand out. We can also show you how to properly take care of your trees so that you can get the most out of them. When you hire a C.S. Flournoy specialist for your Dumbarton home, you never have to hire another company. Our service is designed to take care of every need you have with your trees or shrubs. We begin by performing a full inspection of your landscape in order to determine your needs. From there we can make recommendations on how to take care of your current plant life while adding new plants and trees in order to enhance your yard. Whether you're lookin to trim back or add to your yard we do it all. With one company to help you every step of the way, you'll save time, money, and the hassle of employing multiple companies. We offer tree fertilization in order to maintain an attractive and vibrant landscape environment. The trees and other plantlife across your property utilize a tremendous amount ground nutrients to grow healthy and strong. As trees and shrubs get older they start to compete with other greenery for the nutrients needed for a long life. We offer practical environmentally friendly solutions which are specifically designed to provide food for the roots of your trees and shrubs while keep pests and diseases away. You get the very best for your trees as you watch them grow each day. If you are looking for a Dumbarton Tree Removal Company then please call C.S. Flournoy Inc., today at 804-264-1000, or fill out our online request form.